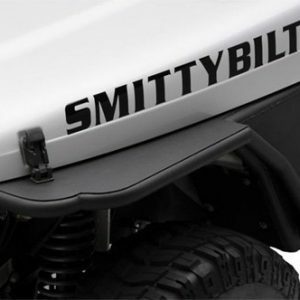 Heavy-duty full replacement tube fenders for Jeep YJ.These close fitting tube fenders are designed for maximum tire clearance and are perfect for rockcrawling. 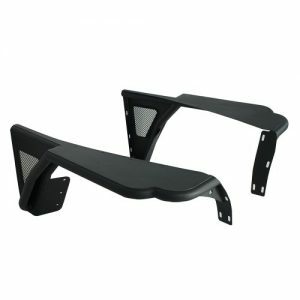 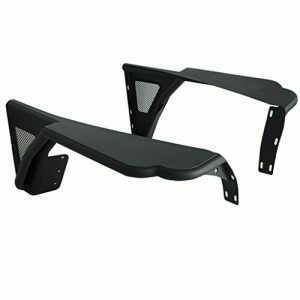 These tube fenders are designed to be a full replacement fender with a mini inner fender well that can easily be trimmed to fit aftermarket shock towers or shock hoops, but still offer an area under the hood to mount items to.Innovative design with a small inner fender well which allows you to install them WITHOUT DESTROYING your factory fenders, like most competitors do.100% USA made with USA materials.Built from heavy duty 1 1/2″ diameter x .120 wall DOM tubing and CNC laser cut and formed 1/8″ thick HRP&O steel. 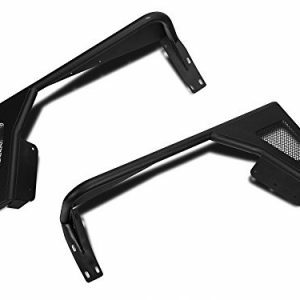 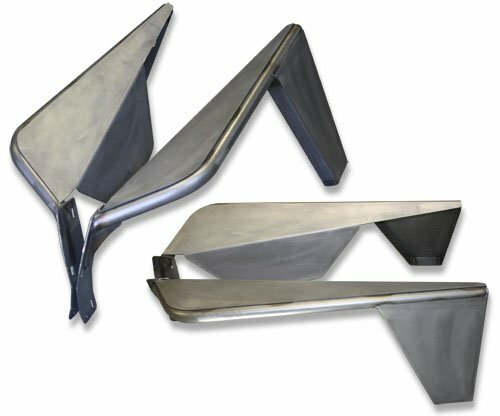 Fixture welded for precise fit.Easily mounts using factory mounting hardware and sold unpainted.May require finish work prior to painting or powder coating.Fenders sold as a pair.